This 10-month, 300-hour therapeutics course is the second of three courses in the Clinical Herbalist Training Program. The content builds on the Foundations course, which provided an in-depth education on plant identification and individual plant uses, and now focuses on advanced therapeutic strategies in assessing an individual and providing treatment. Students will focus on disease processes and subsequent application of their herbal knowledge to treat the underlying condition. Stimulating and fun, the Therapeutics program involves the completion of an individual research paper, the creation of complex case studies on each body system, and an understanding of the complexities of herbal formulations and medicine making. The goal is to give clinicians the well-rounded tools needed for working as professional herbalists. At the conclusion of the course, students will have a firm foundation in constitutional diagnosis techniques and the ability to evaluate herbal combinations and formulate with confidence. They will also be provided with a sizable amount of educational handouts and worksheets. Students completing the course will be awarded a Certificate of Completion in Therapeutic Herbalism. September 18, 2019 through July 9, 2020. 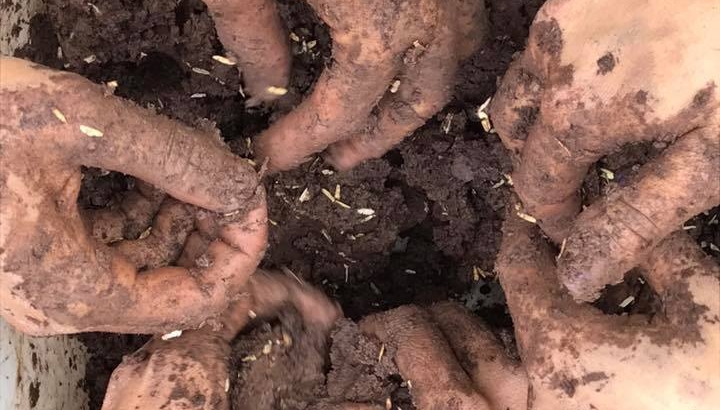 To apply: Students who have completed the Ohlone Herbal Foundations program can register and reserve a space by putting down a non-refundable deposit. * All other interested students with a similar educational background, please email the school directly for approval at info@ohlonecenter.org. For more information on our certification programs, please email studentservices@ohlonecenter.org. *Unused deposits cannot be used for short-term programs, courses, or workshops. There are no exceptions. Additional Costs: Tuition includes all instructional time. Additional cost to students include travel, food and facility rentals for 4 wildcrafting trips and text books. Depending on how thrifty you choose to be, students can expect the additional cost to be anywhere from $700 to $1,000. Deposit Policy: To secure your space in the program, a non-refundable deposit is required. Full payment of tuition is required by the first class. If the Ohlone Center is not able to guarantee you a space in the program, your deposit will be refunded promptly. Refund policy: Refunds less the non­-refundable deposit are given if students drop within 30 days of first class. There are no refunds on tuition payments after this time, even if the student is no longer in attendance. Transfer policy: Unused non-refundable deposits can not be transferred to short-term programs, courses, or workshops.